Labor Day is celebrated today in the United States with parades, picnics, barbecues, fireworks, ball games and other public gatherings and displays. For many Americans, it represents the end of summer and the beginning of the new public school year. 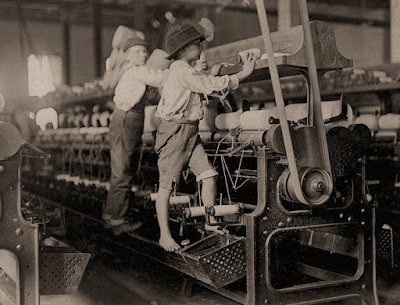 However, Labor Day, in and of itself, is an annual celebration of workers and their achievements - and it began during one of the American labor history's most appalling chapters. 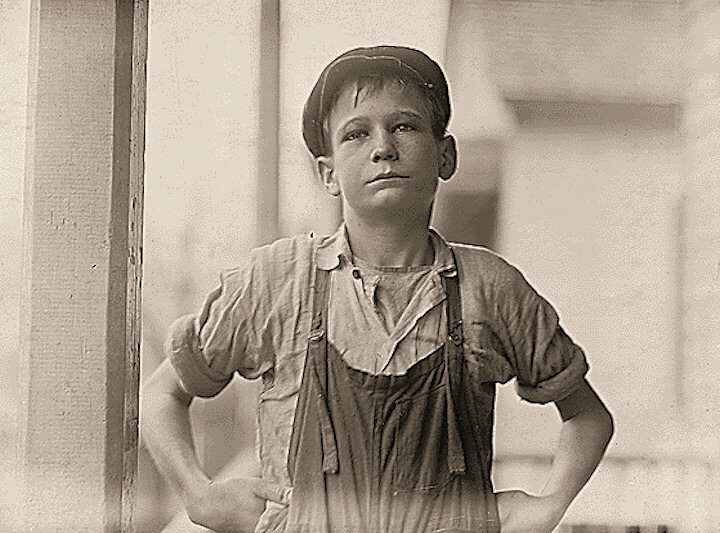 In the late 1880s the average American worked a 12-hour day year-round to barely eke out a living at the height of the Industrial Revolution. While a few states had restrictions, kids as young as 5 or 6, worked in mills, factories, and mines - earning a tiny fraction of an adult's wage. 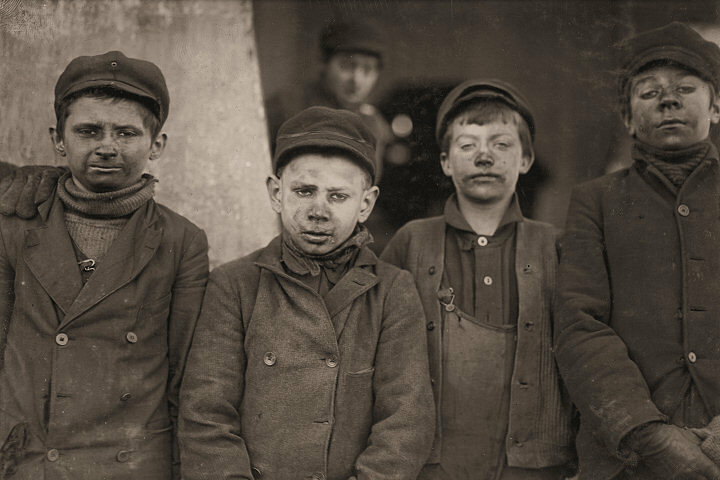 Folks of all ages faced extremely unsafe working conditions, without fresh air, without work breaks, and without bathrooms. Labor unions began to appear as manufacturing increased and agricultural jobs began to disappear. The labor unions grew vocal and more prominent in cities. They began organizing rallies and strikes to protest these awful working conditions and to compel employers to renegotiate working hours and pay. Some of these events became violent, including the infamous Haymarket Riot in 1886, where several workers and Chicago policemen lost their lives. Another event gave rise to our current Labor Day: On 5 September 1882, in New York City, 10,000 workers took an unpaid day off to march from City Hall to Union Square - and the first Labor Day parade in US history happened. The idea of a "workingmen's holiday," to be celebrated on the first Monday in September, took hold in other industrial and manufacturing cities across the nation, and several states passed legislation recognizing it. 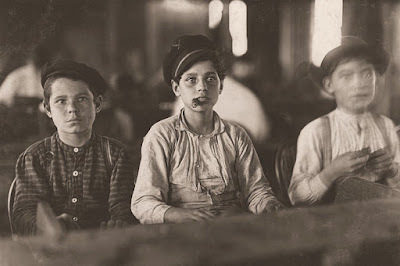 However, the United States Congress would not legalize Labor Day as a holiday until 12 years later, when the employees of the Pullman Palace Car Company in Chicago went on strike to protest wage cuts and the firing of union representatives on 11 May 1894. On 26 June, the American Railroad Union, led by Eugene Debs, called for a boycott of all Pullman railway cars. This crippled railroad traffic across the entire nation. To break the strike the federal government sent troop to Chicago; this unleashed a wave of riots that resulted in the deaths of more than a dozen workers. 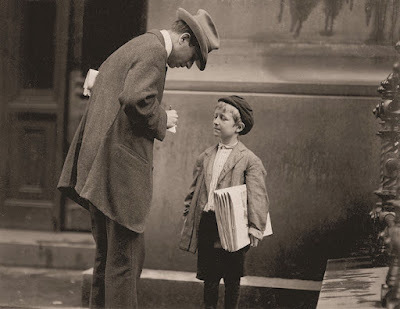 In the wake of this huge unrest, and in an attempt to repair ties with everyday workers,Congress passed an act making Labor Day a legal holiday in the District of Columbia, all states, and the territories. President Grover Cleveland signed it into law. One hundred and twenty-four years later, the true founder of Labor Day has yet to be identified. Many credit Peter J McGuire, co-founder of the American federation of Labor; others say that Matthew Maguire, a secretary of the Central Labor Union, first proposed the holiday. 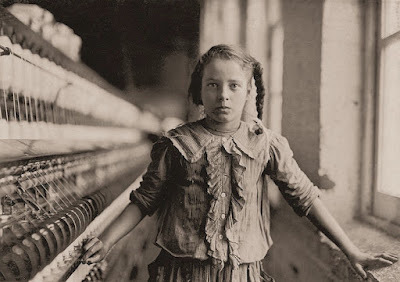 The following photographs, taken by Lewis Hine between 1908 and 1912 while working as an investigator for the National Child Labor Committee. Child labor was condemned publicly, but continued, even with acts of child labor reform laws. In 1938, Congress passed the Fair Labor Standards Act, better known as the Federal Wage and Hour Law. It was declared constitutional by the US Supreme Court in 1941, having faced several state court cases. The Act set a work week of 40 hours, with a minimum wage of 40 cents per hour. It prohibited child labor under age 16, while allowing minors 16 and over to work in non-hazardous occupations. The Act set 18 as the minimum age for work in industries classified as hazardous. 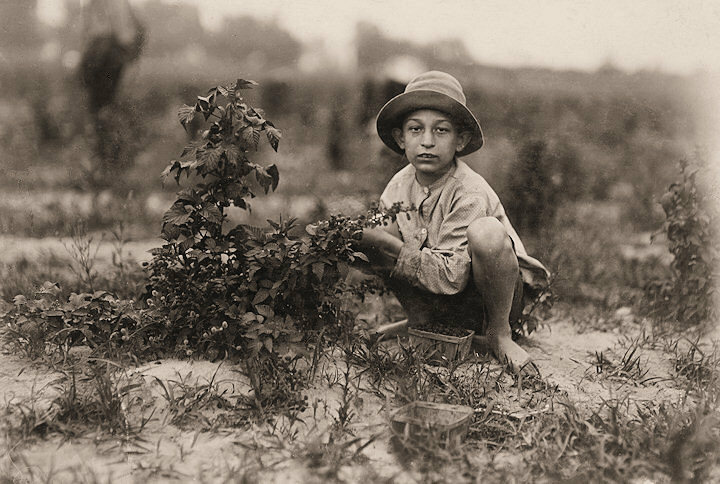 No minimum age was set for non-hazardous agricultural employment after school hours and during vacations. Children aged 14 and 15 could be employed in non-manufacturing, non-mining, and non-hazardous occupations outside of school hours and during vacations for limited hours. Warren Frakes, age 6, picking cotton in Comanche County, Oklahoma. 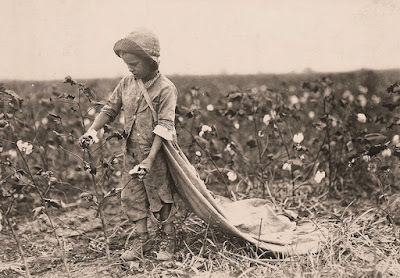 He picked 41 pounds of cotton the previous day. 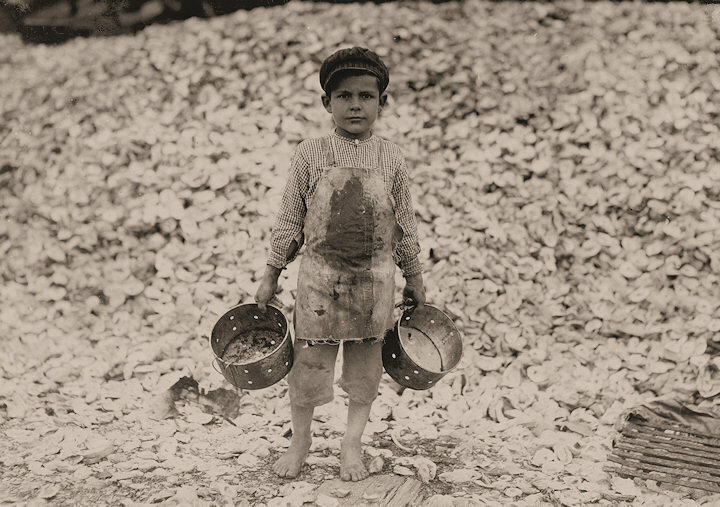 in Whitnel, North Carolina and earns 48 cents per day.